At an excellent seminar at IE Produce recently I was introduced to COYO, a Coconut Milk Yoghurt alternative. I bought a tub of it and created this incredibly easy dairy free cake which can easily double as a dessert. It makes a large cake which will easily serve 8 people. Scrape into a 25 cm lightly greased silicone cake mould or baking paper lined spring form cake tin. Bake at 190 degrees for 20 minutes. 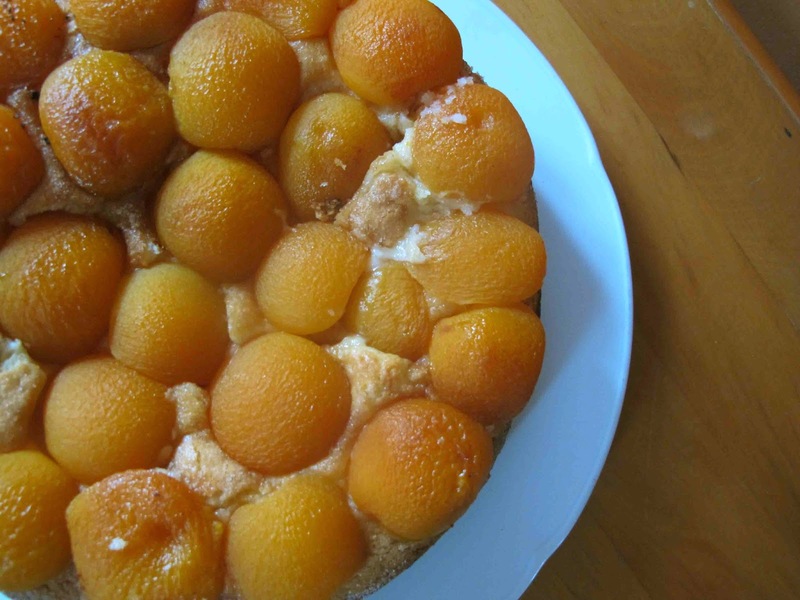 Have drained apricots ready and quickly arrange on top of the cake. Put back in 180 degree oven for about 25 minutes until cake is done. To find out more about this new product I found this review really useful. Your blog (Shoot and Eat) has caught our attention because of the quality of recipes. We would be delighted if you would join us at 'myTaste Australia' so that we could link to it. We send thousands of visitors to our blogs on a weekly basis. MyTaste Australia is a search engine that compiles the best Australian cooking sites and blogs from the Internet and gives an opportunity for users to save and share recipes collecting them in cookbooks.